If you’d like to download my free guide – click here. 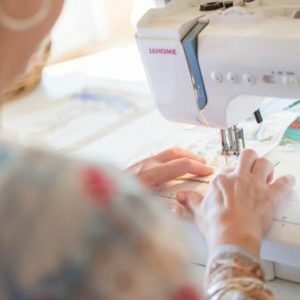 It is true that the more you use your sewing machine, the more tuned in you become to it. On my workshops it’s lovely to see everyone helping each other when things go wrong. It doesn’t really matter what particular make of machine you have, they all work in pretty much the same way- and go wrong in the same way too! More often than not, the solution is simply a process of elimination. Just work your way through the list and fingers crossed!